You will receive a Happy Birthday card in email from us inviting you to celebrate and dine with us during your birthday month. For your birthday, you will receive a free entree of your choice. Be sure to make a reservation for your birthday party. We will keep you informed of our latest food and drink promotions such as happy hour and dinner specials. 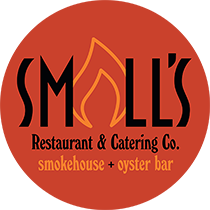 You will be invited to special events throughout the year such as a Pig or Oyster Roast, and Valentine’s Day, Mother’s Day and Father’s Day special dinners. You can take advantage of customer appreciation deals only offered to our VIP members.